Living in Alberta, I think we get stuck on the idea that if we want to enjoy the beach, the heat, and the sun that other parts of Canada enjoy, we have to get on a plane and head to either coast. But with average temperatures of 28 degrees in the summer and countless beautiful sandy beaches, Kelowna has Albertans rethinking our vacation plans. Within a matter of hours, you’ll be coasting down the highway along the stunning Okanagan Valley, preparing for a getaway packed with warm weather, beaches, wine, and memories to last you a lifetime. 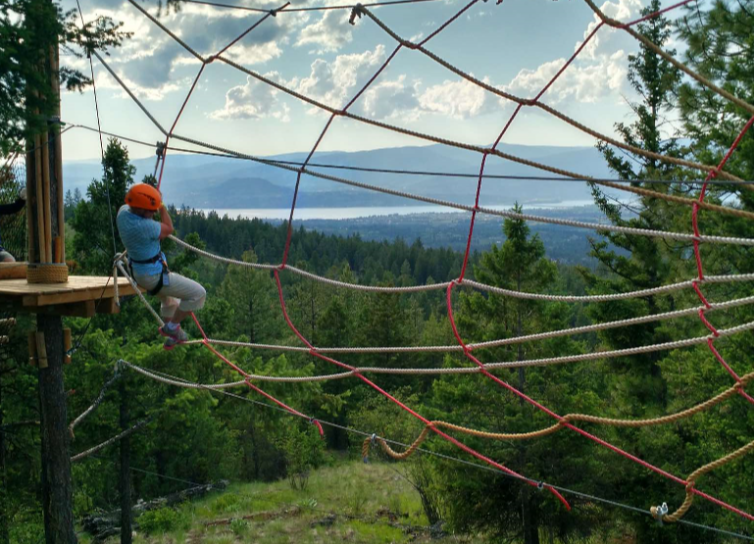 While people may think of Kelowna as a destination where you can lay back and get away from it all, the area is actually fully stocked with adventures for those looking to add an adrenaline rush or two to their summer. Here are some excursions worthy of your precious vacation days. Want to take your vineyard tour and wine tasting to new heights? Alpine Helicopter Tours and Valhalla Helicopters do just that. 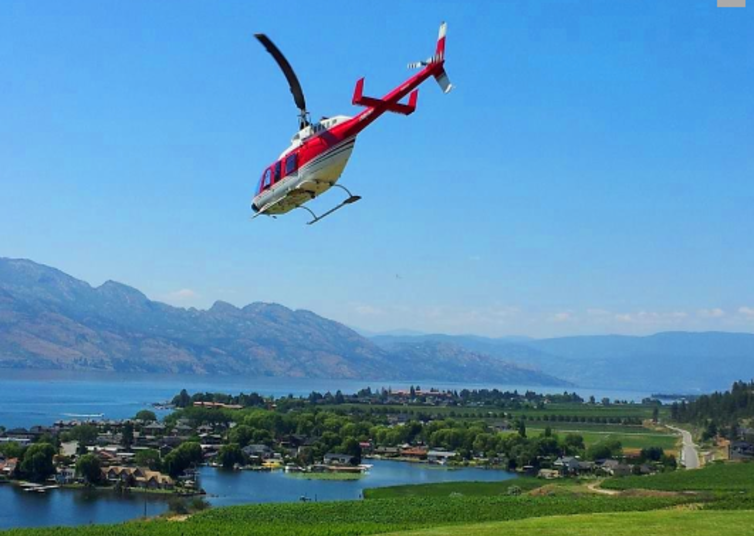 Tour Kelowna from the sky, then touch down in some of the area’s best vineyards for private tours and tastings, or have a mountaintop picnic lunch near the lake in Rose Valley. Leave the way you came—in style. On the edge of the Myra Canyon you can tackle any of seven tree top rope courses. This is a beautiful spot overlooking Kelowna, the valley, and the lake which are best seen from the course’s towering bridges and nets. Travelling with a group of friends or in need an activity for the family that goes beyond the beach? Then the adventure course has you covered. You probably have a beach day planned, but if you want to liven it up a bit, strap yourself into a harness and fly 300 feet above the water while parasailing along the shoreline. The rush is real but it is very safe! Included in the cost of the sail is an hour-long trip around the lake in a boat. For a boost of endorphins, ask your guide to let you dip your feet in the lake as you fly. If parasailing seems tame and you’re looking for something more cutting edge, then you should definitely try flyboarding. You’ve probably seen the videos on Facebook of people who use the power of water to fly atop lakes… and now you can do it, too. 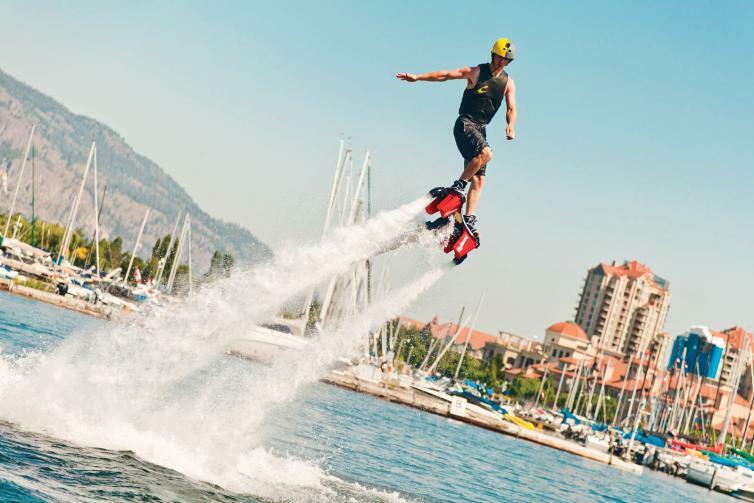 Okanagan Flyboard and Canadian Jetpack Adventures both have instructors who will get you soaring like a water-borne superhero. I saved the best for last. As you may know, I love biking. I also love pints, so this is a match made in Mike heaven. 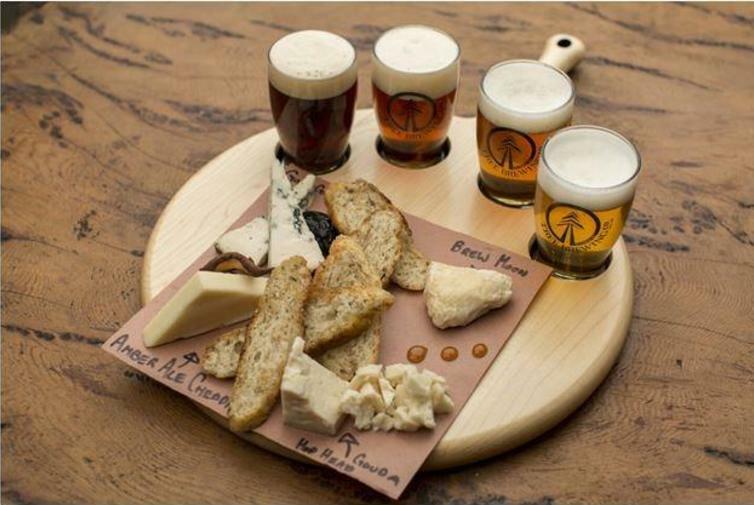 The peddle and pint tours in the city include a bike rental, a helmet, a sightseeing tour around Kelowna, and a stop at one of three local breweries. Have a pint for me while you’re there! 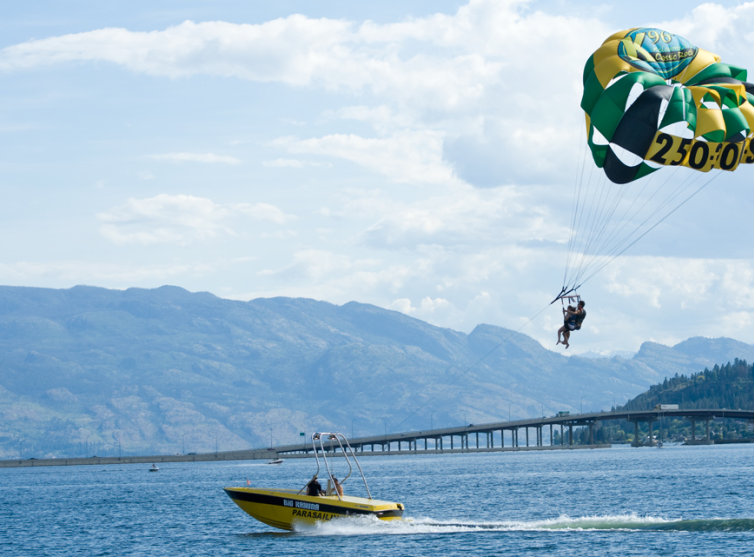 This is just a sampling of all the activities you can participate in on your trip to Kelowna this summer. 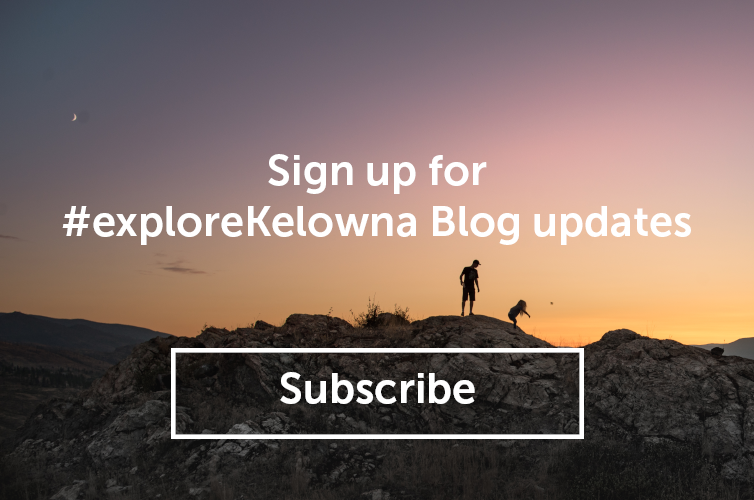 For more information about tours, activities, and making your adventure the best fit for you, visit Tourism Kelowna’s website. Article originally posted on Mike&apos;s Bloggity Blog July 15th, 2016.